When I went foraging last week for pine cones (more on those next week), I also gathered some amazing dried wild flowers. They had such elegant form and structure, but I couldn't find the right vessel to display them in. 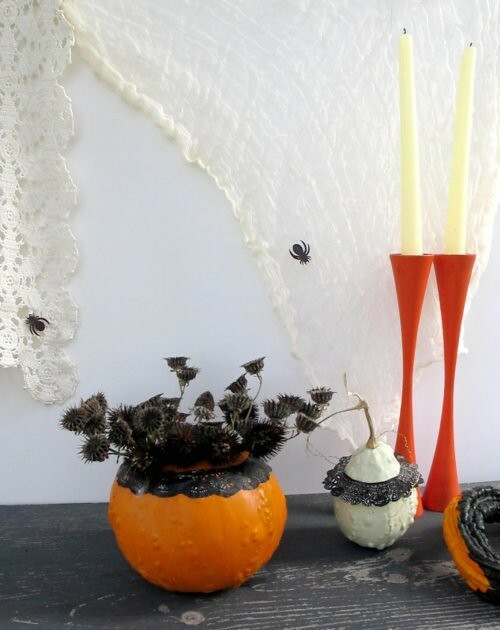 Hollowed out pumpkins make delightful temporary vases. 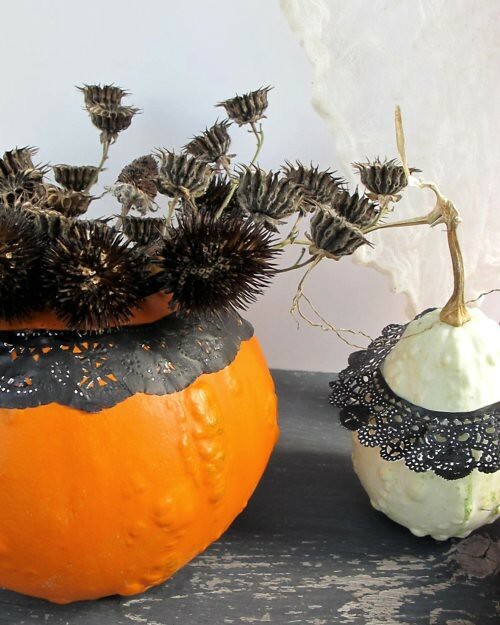 I adorned one with a little black lace, a painted doily, for an almost gothic look to compliment the dark and spiky bouquet. The white bumpy gourd was a mystery squash plant that emerged out of our compost bin. I love it! I plan to save the seeds to plant some intentionally for next year. Anyways, I dressed it in a lace skirt for fun! Fold doily in half and cut out the center. 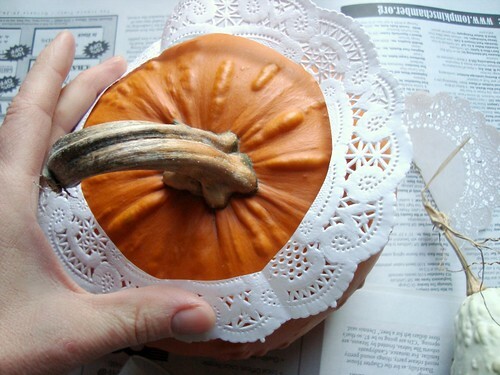 Slip it over your pumpkin top to gauge how large an opening you'll need. 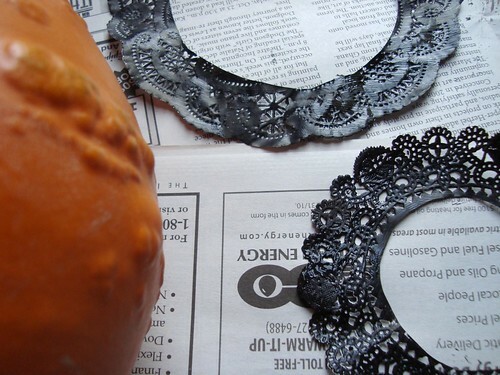 Paint doily with black paint. Obviously, you can skip this for a little white lace look. 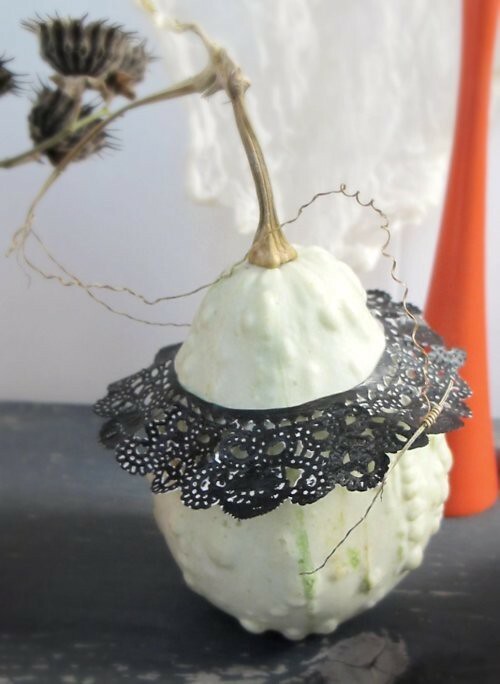 While doily dries, cut off pumpkin top and scrape out pumpkin (as you would for a jack o' lantern). 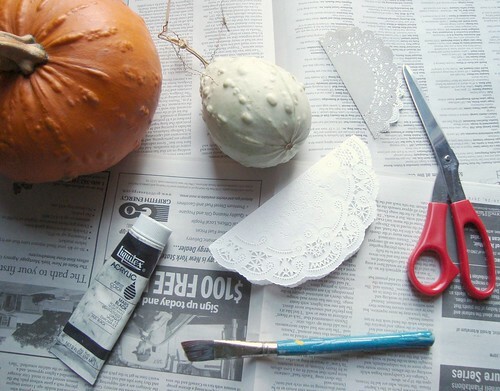 Paint the back of the doily with glue and affix it to your pumpkin. Smooth out bumps and creases. 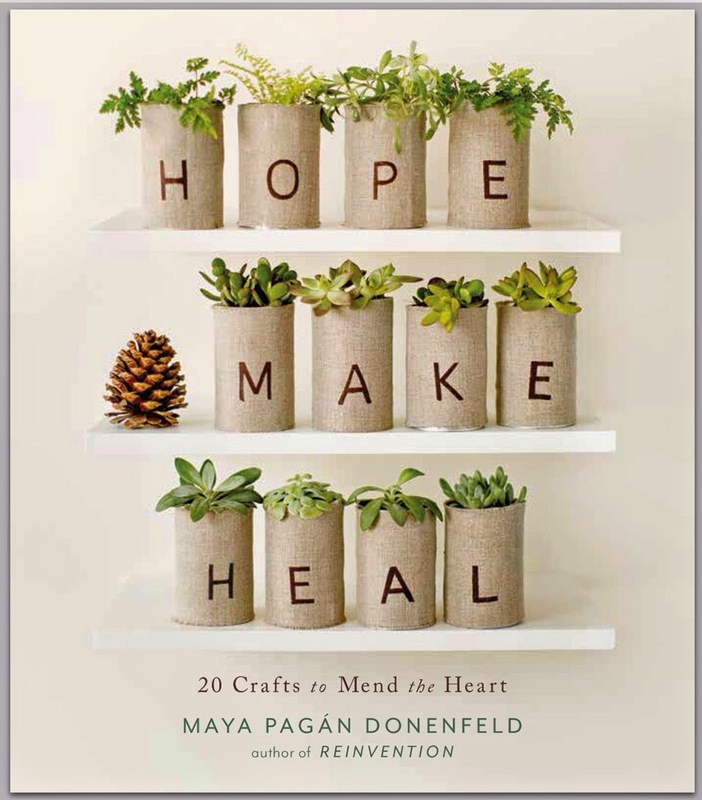 Fill with dried flowers or insert a small container to hold water and a fresh bouquet. 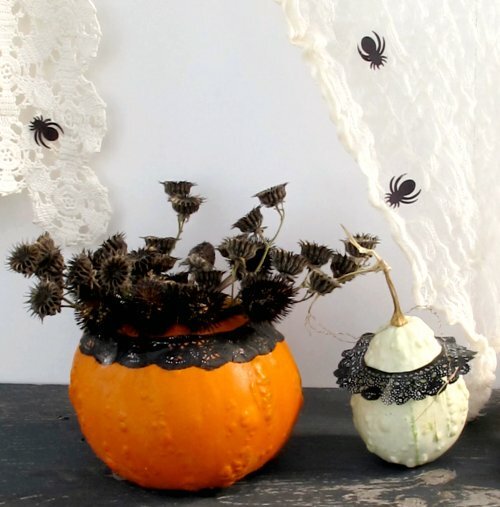 It would also be adorable to put doilies over the pumpkin and spray paint it. Then remove the doily and you'll have the design. 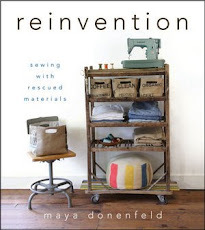 I'm loving this...and linking today. Thank you for sharing! I love that little white gourd! The black lace makes it look so elegant.